In recent decades Africa has emerged as a sporting giant. The African sporting phenomenon has been addressed in the popular press and it has also attracted scholarly interest; however, this interest is almost entirely focussed on men. Yet women’s participation in recreational and elite sport is worthy of exploration and research. 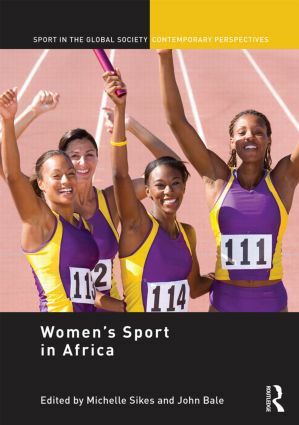 This path-breaking collection of essays provides an introduction to a variety of dimensions of women’s participation in African sports. Several key concepts are addressed in the book: women and media, women and sport-migration, sport and empowerment, sporting and social development, women’s sport and postcolonial Africa, and professional sport and economic development. This collection, authored by established scholars, will attract readership from students from Sports Studies to African Studies and from undergraduate students to university teachers. Michelle Sikes is a DPhil Candidate in Economic and Social History at Oxford University, Oxford, UK. John Bale is Emeritus Professor John Bale, Department of Education, Keele University, Keele, UK.